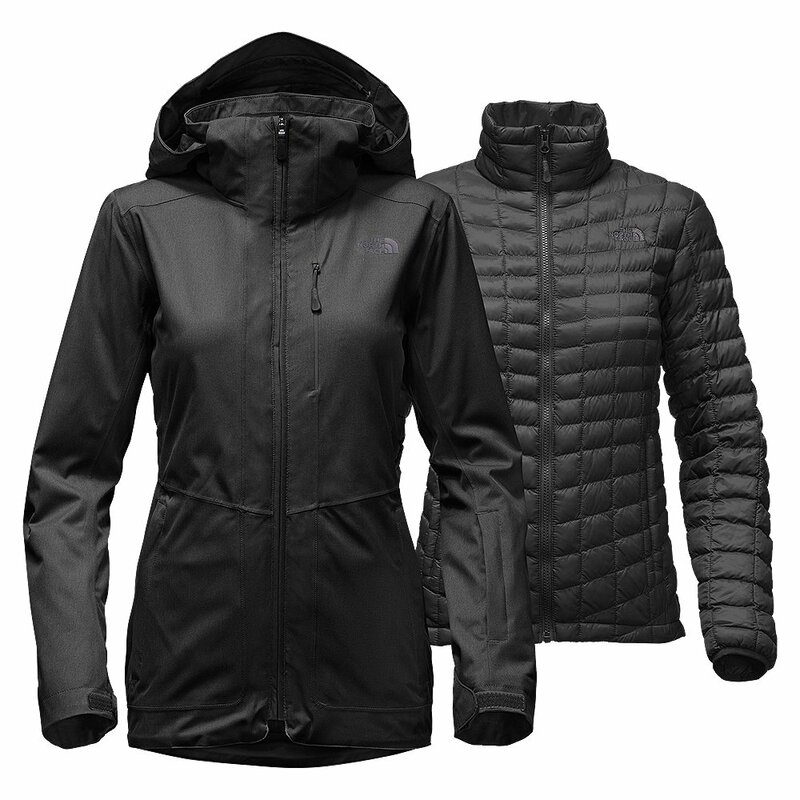 The North Face Women's ThermoBall™ Snow Triclimate® Parka gives you unparalleled versatility in a smart, stylish package. It's designed to eat up the harshest days of the season while giving you the flexibility to stay comfy on much milder days. The ThermoBall™ liner jacket provides integrated insulation but zips out to give you a full-coverage DryVent™ waterproof-breathable shell. You can also wear just the liner jacket when the weather report calls for something lighter. The shell features fully sealed seams, vents, a snap-down powder skirt and plenty of pocket space. The liner includes hand pockets and an internal stash pocket. I recently went on the Chadar Trek in Ladakh, Leh, India. I used this jacket everyday for 10 days. It was one of the best purchases I made. It was lightweight and served the purpose greatly. I loved the sunglasses pocket on the hand and the amount of pockets it had to keep everything close by. Zippers were a bit difficult to use especially in -20 degree weather but over all, a great jacket. Well designed and thought of. This is a really nice jacket, it's material is durable and it feels very warm. But I ordered an XL and it was still too small, when I have another north face jacket in a Large that fits perfectly. I would order a couple sizes up than what you actually are. This is a great everyday coat for Minnesota winters. The zipper went out after a couple months but getting a replacement was easy. Good quality jacket. Arms are a bit looser than expected tho. I wore this jacket in Upstate NY. It started snowing (around 30 degrees F) and was extremely windy. I was not at all cold while wearing this jacket, also considering it broke the wind. Though, I couldn't get the drawstrings to stay tight and keep the hood on my head. I highly recommend this jacket. I just moved to Bellingham WA from Tucson Az. I absolutely love my jacket I wear it everyday. It's a great jacket to wear anywhere from work to the weekend hike, I'm truly happy I made this purchase. I love the style and color of this jacket. Also the extra pockets! It is just not as warm as I was hoping for. I am still cold sometimes when it is in the 30s. I would not expect that out of a North Face winter jacket. This is the warmest jacket I could find that uses synthetics instead of down, so a great ethical choice! I love that I'll be able to use it 3 ways, which is perfect for the southern Australian climate. It looks stylish all 3 ways too unlike some other brands. Can't wait to use my jacket down at cape horn this year! Very nice design, colors, and quality. My wife love it. 100% recommended. This jacket is great for snowboarding. I still encourage the layering, but ultimately I'm in love! Would buy my wife this jacket over and over again. Bought it specifically to hike The Cliffs of Moher. So glad I did because it was cold, rainy and super windy. Even with all that weather I was comfortable and anle to really enjoy my visit. Three coats in one: two for lighter wear and combine them for a very warm and cute coat. I am between sizes and would prefer that the size I choose fit a little better than it does. It was slightly loose to me since i am a petite size woman. However, it looked fine. I am very pleased with this jacket. Needed a new winter coat. Hopeful this one will keep me warm during the winter months! I really like this jacket. Very warm and perfect for snowboarding and cold weather. Wish it came in more colors though.